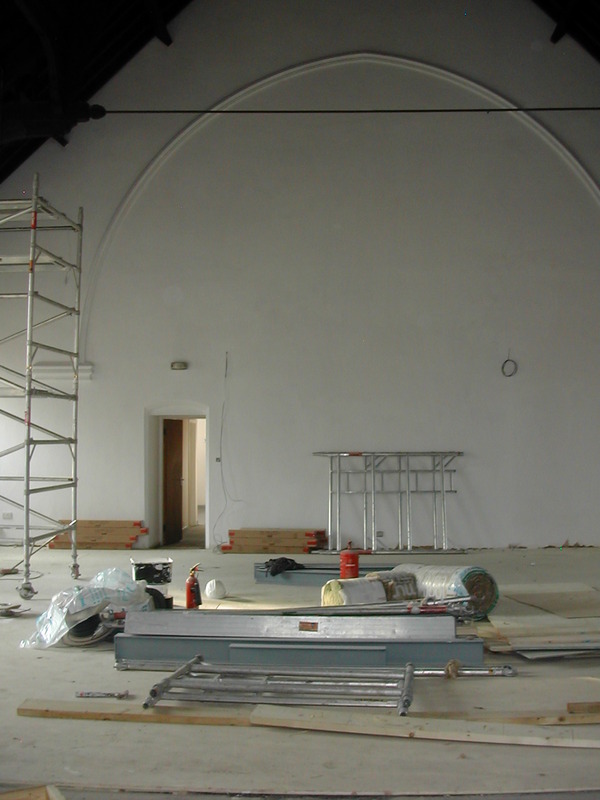 A major aim of our building project is to make our sanctuary more accessible for wheelchair users. In the past, the ground floor had a number of levels each accessed only by steps. When the project is finished the entire ground floor will consist of only one level. To accomplish this our contractors have begun by raising the floor level in the sanctuary. Now completed, this one improvement already dramatically improves the space. If you have never been in the building you might not appreciate how much better it looks even now. We at DBC know that a church is not a building but a people. Still, we are looking forward to the new opportunities that will arise when we have a more adequate and accessible space for worship, ministry and mission.